 Professional, personable, and proficient accounting services; Hughes & Associates is here to serve. Valdosta businesses and individuals alike can benefit from the reliability of the financial management experience of our Certified Public Accountants. The proper care-taking of your hard-earned finances is a responsibility that we take very seriously, and our history of trusting and satisfied clients continues to provide stability and credibility to our accounting firm. Contact our staff to schedule your free consultation. Hughes & Associates also provides a robust portfolio of retirement services. The diverse experience of our seasoned Certified Public Accountants allows for a broader range of services that extend beyond the often limited approach of other accounting firms. Search no further for Valdosta accounting services and retirement services than Hughes & Associates. Call, email, or visit our office to schedule your consultation meeting, which we conduct free of charge. Our Hughes & Associates personnel or referral sources will respond to your appointment request as soon as possible, likely over the phone, in order to solidify and confirm the official day and time of your appointment. Show up to our offices at the agreed upon time for your initial meeting, which is free of charge. We will answer all of your questions and recommend an action plan. Following that meeting, if you choose to utilize our services, you will be provided with a list of the necessary information in order for us to begin the work. Immediately following your initial consultation, you will receive a detailed list of the information and documentation that is necessary in order for the work to be performed. You can deliver hard copies or you may upload files through your online Client Portal; whichever method you are most comfortable with. After your questions are answered, our advice is given, the action plan is agreed upon, and all of the pertinent information and documentation is provided to us, our staff goes to work for you. We work efficiently and effectively on every project so that you can rest easy, knowing that the work is being done well. For more complex projects, additional involvement may be required or desired. Once the preliminary work is completed, your Certified Public Accountant will often request a phone conference to discuss preliminary results and details regarding the remainder of the work that is to be completed. American Institute of Certified Public Accountants and the Georgia Society of Certified Public Accountants.